I’ve been meeting a number of early stage ventures lately, and this topic sometimes gets missed. That’s a mistake that can be fixed pretty quickly. For seed level companies in a growing market space, investors are betting primarily on talent and market expertise. Yet often this story isn’t as tight as it needs to be to get folks to believe in your ability to execute. Seed level investments generally range from $250k-$500k to get to an initial meaningful milestone. For a tech driven company this money really goes primarily to keep the team focused on building a product. 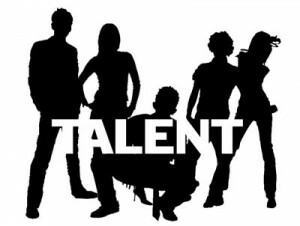 As I’m looking at early stage companies, whether it’s for cash investment or investment of my headspace, talent is the first and most important thing I’m looking to vet. After this, the market approach can be discussed and debated with support from your angels and advisors. While many great early stage investors are also great talent scouts, if you depend on that alone it won’t give you the best chance of attracting capital. So help yourself out! As a startup founder, if you get your talent story tightened up, it will make a huge difference in attracting great investors. Educational focus, work experience, personal passions, and even family background can be elements of your talent story. How have you arrived at this product, at this time? Why will this team be successful in the chosen industry or application space? What makes you uniquely qualified? If you struggle to answer questions about how you and your founding team are qualified to build the business at hand you might have a tough road ahead. You may need to add team members or find a way to “just build it” to get to some meaningful milestone / metrics on sweat. Not saying it can’t be done but it is more difficult. Hopefully the business you want to build is a natural fit for your team’s talent story, and it will be an asset to you as you introduce your business to the world.